Full Description: This modern purpose built three storey town house with excellent access to public transport facilities, lies within the heart of Birmingham City Centre and is ideally situated for those wishing to take advantage of its convenient location and proximity to a variety of social, recreational and sporting amenities. Train services operate to London from both New Street and Snow Hill Stations in the Centre of Birmingham and access to the National motorway network is easily available via A38 M Aston Expressway. St Paul’s and St Philip’s Churches are within close proximity along with the popular renovated canal system which gives access along its towpaths to Brindleyplace and the International Convention Centre, Symphony Hall and the National Indoor Arena. This well presented property having the benefit of security video entry system, caretaker service and secure underground parking is situated within a private development of similar properties in a delightful courtyard location with mature landscaped grounds having views to the City Centre /Cox Street and central courtyard area. 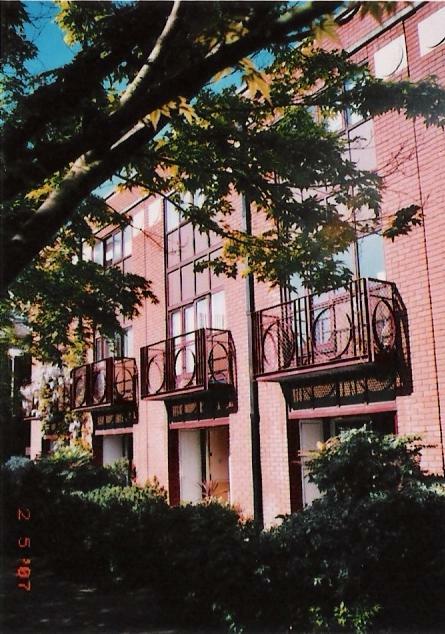 The private central courtyard area is well stocked with mature evergreens, shrubs and flower borders and the property benefits from having residents only access to one allocated car parking space in the underground car parking area which has electronically operated security gates opening onto Cox Street.